Northern Ireland’s leading funding toolkit; helping charities and communities thrive. 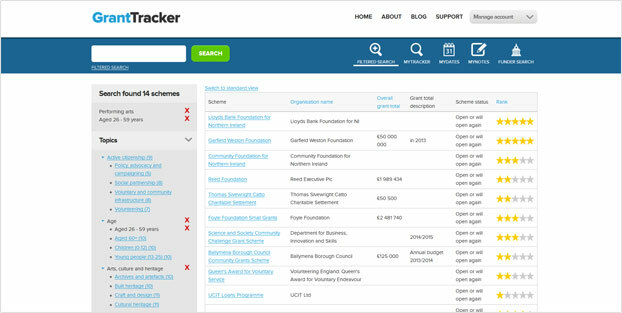 GrantTracker will help you find funding schemes relevant to your projects, keep on top of deadline dates and co-ordinate your funding applications. 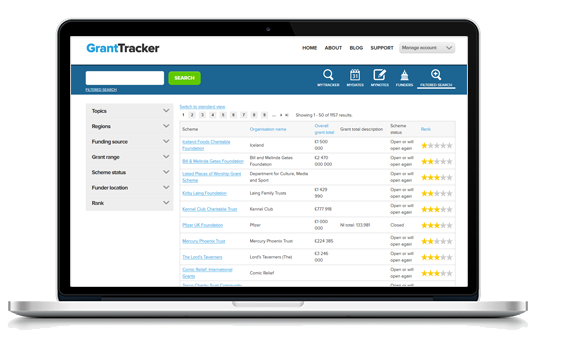 GrantTracker was developed by NICVA 15 years ago and is continually improved to suit your needs. The site is kept updated by NICVA’s Fundraising Advice Officer. Filter by funding topics, geographical regions and how much funding you require. I find GrantTracker to be an excellent tool for our Charity. 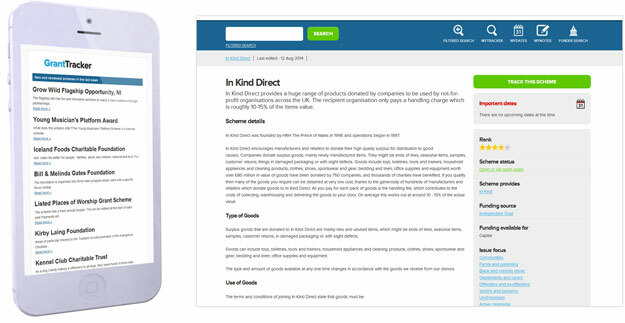 It allows me to filter down my search for the area of funding that I need, whilst the star rating system saves me so much time on research. There's a great selection of Trusts to research and a brilliant tracking function to alert me of deadline dates. 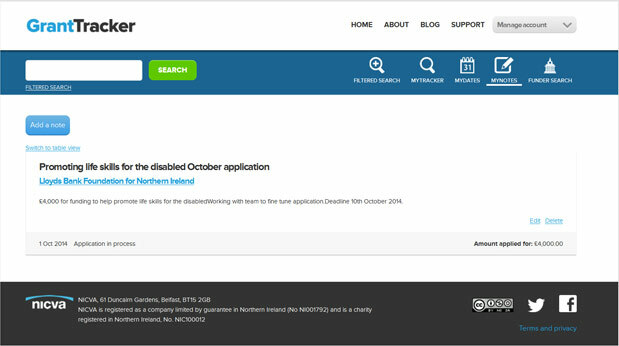 GrantTracker is regulary updated by NICVA's Fundraising Advice Officer. Advice and Support available and through our Support section. Sign up or renew your subscription to help you find funding!